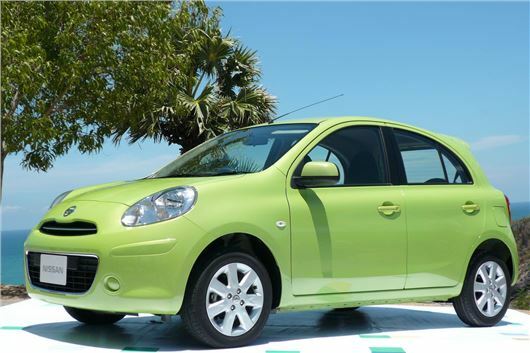 My wife and I have a 2012 registered Micra (Indian built version; 45 months old) which we purchased new. It has done 40,000 miles and is serviced by the dealer garage in accordance with the book. It has a manual gearbox. In the last three weeks the clutch has started to slip at about 3,000 revs when accelerating, but drives normally otherwise. The garage say about £900 to replace the clutch but indicate that they cannot say what has gone wrong until they strip the clutch out. Neither my wife or I have ever had clutch problems in all the cars we have owned (all manual gearboxes) over the last 60 years. Neither of us rides the clutch and we use the full range of gears on small engined cars. Last June a rear wheel bearing was replaced under warranty - again a first and I am becoming disillusioned with what I was led to believe, by other owners, is a very reliable vehicle. Can you advise if you have heard of clutch problems or general build quality problems with these vehicles? Needless to say I am not pleased with this expensive fault now we are just out of warranty. She's nuts, because she won't be able to do the manoeuvring parts of the test in one of these and the examiner will be stricter on her for taking the mickey in a big heavy vehicle that can kill people. Real life is not like the 1963 movie ‘The Fast Lady’ in which the hero takes his driving test in a 1927 4.5 litre Bentley. The most important criterion for learning and taking a test is good visibility. A Honda Jazz Mk II is one of the best for that. But needs to be manual because if you take a test in an auto you are restricted to driving autos. I have a 1998 Volvo V40, which I have owned from new and covered 101,000 miles. I have found it to be an excellent estate car. It is mechanically perfect but has developed a water leak into the boot area and I’m unable to trace the source. Rainwater makes its appearance on the driver’s side under the carpeted area of the platform lying to the right hand side of the boot and then runs down into the boot. To date I have: Replaced the rubber seal under the roof aerial and sealed with silicone sealant; Sealed around the O/S rear light cluster on the body using silicone sealant; Taped around the rear hatch door, even though I do not think the source is associated with the rear hatch – just did it to make sure; Checked O/S rear door seals even though can’t see that being entry point. Any suggestions you might have as a further possible entry point or procedure to trace the entry point would be appreciated. It will be coming in via the one-way cabin vents that are hidden behind the carpeting in the lower sides of the load floor and vent out behind the bumper valence side extensions. The flap will have broken so rainwater gets forced in. I have been told I have to pay an extra £200 to use my own repairer for a non-fault claim. It is actually listed under the 'Excess' section of my policy. Am I obliged to pay this? Tim Kelly (www.motorclaimguru.co.uk) responded: “No you are not, if you have a none fault claim, you can either go through the at fault insurer directly, or through a FCA regulated accident management company, and should not pay any excess at all. If you are going through your own insurer, ask them to confirm that they have checked with the at fault insurer that liability is not in dispute, and if that is the case, confirmation the excess has been waived. In that case, the excess does not become an issue, You can also bring to your insurer's attention, that to apply an additional excess to our policy is a breach of the "unfair terms and conditions in a contract regulations" and also breaches FCA regulations : https://www.handbook.fca.org.uk/handbook/UNFCOG/1/1.html/ If they still cause you issues, contact me back, and i will tell you what to do. They are carrying out what is called "steerage" by trying to steer you into their repairer. Your legal entitlements to your claim are here. http://fenchurchlaw.co.uk/coles-v-hetherton-implications-for-recovery-actions/ Your rights to have your car repaired where you wish are covered under quite a few regulations The customer's entitled to choose who's repairs their vehicle, this is covered under the following acts and laws. Consumer Rights Directive 1993 where the Office of Fair Trade, the ABI and what was the Financial Service authority now the FCA agreed in the consumers right of choice. It is also covered by the Consumer rights act 2015; Consumer Protection from Unfair Trading Act 2008; Application part 8 of the Enterprise Act for Unfair Trading Regulations 2008; Motor Vehicle Block Exemption Regulations EC1400/2002; Competition act 1998. The 2015 Insurance Act also stipulates prior to a contract occuring, the insurer has to make the insured aware that the contract fulfills the demands and needs of the consumer, and any adverse term or condition is brought to the attention of the consumer. This should have no material detriment to the consumer. To advise after the contract has occured any restrictions in the consumers choice, or advise that you seek to reduce your contractual liabilities is a breach of the act. Send them the above, if they become awkward!” JM reported back that here insurers agreed to waive the extra £200. My 2010 VW Golf 1.4 has two ignition keys, one of which starts the engine normally. The other, the most used key, has begun to work intermittently. Sometimes the engine starts and other times it will not start and makes a clunking sound. My local garage replaced the key battery and for a week or two the key worked as normal and then began to work intermittently again. The less used key shows no problems and starts the engine every time. The car is booked in for its MOT test this week and I was hoping you might be able to give a bit of advice. Replace the duff key. Try a branch of Timpsons in the High Street, side street or in a Shopping Mall. No joy there, links to keys and locksmiths in this directory: /useful-websites/specialists/ The first two on the list apparently give very good, very fast and very cheap service. I'm taking delivery of a new car in March. I wanted to walk into the dealer on the day of picking it up and get the dealer to complete the transfer of my cherished registration number from my trade-in to the new car using the new online system? You gave me three websites for information on this and I can’t do the transfer online. I have to go through the online system to get a retention certificate (arrives in 7-10 days) and a new V5C with a new age-related plate for the existing vehicle (3-5 days); Get the new age-related plates on the vehicle (immediately, apparently, or be in breach of some law); Trade in the vehicle, using the retention certificate, or if the certificate's not arrived yet, get my new car with a proper age-related plate and do the transfer later. Surprisingly, once I'd found the phone number, and gone through four levels of automated routing, a Welsh lady in the DVLA answered immediately and gave me clearly the info I needed She seemed slightly apologetic that I can't transfer the old reg to the new car in one go. And why the government website doesn't explain this. Maybe I'll leave the new car on an age-related plate. Due to a mistyped Internet address when renewing my driving licence online I was led towards a spurious website which claims to help people with their driving licence applications for a fee of £59. I was already aware of the 'unofficial' nature of this site when I chanced upon it, but many older people like me won't be. This site is clearly intended to deceive, so should it not be considered illegal and banned? Yes, but they have been running for several years and they seem to get away with it by providing the "service" of assisting people in filling in the forms. At least one motoring journo has been taken in. The answer (which I seem to repeat about ten times a week) is to only ever use the black-headed government websites.